Dr. Leung joins Acton Medical Associates after practicing primary care in Worcester, MA where she was also involved in preoperative management and medical education at University of Massachusetts Medical School. A Massachusetts local, she completed her residency at UMass Medical Center in Worcester, MA. 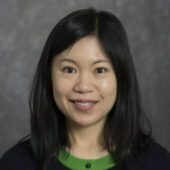 Dr. Leung aims to continue providing high quality primary care for individuals and families and to establish wonderful long relationships with her patients. Dr. Leung lives locally with her husband. Outside of work, she enjoys a variety of outdoor activities including hiking, biking and kayaking. Dr. Leung also speaks Cantonese.